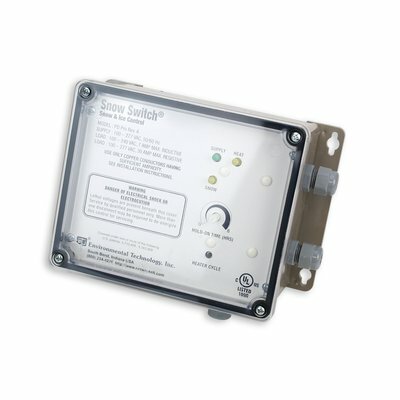 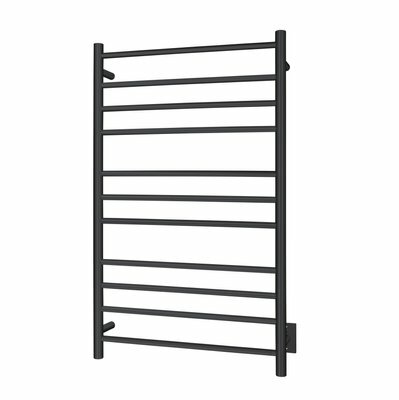 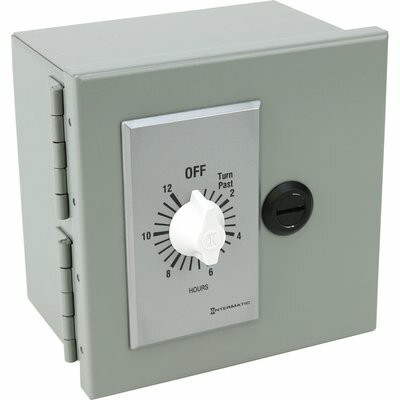 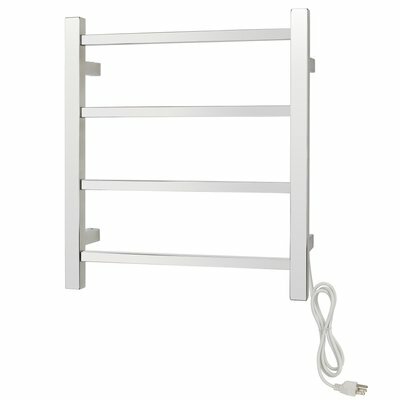 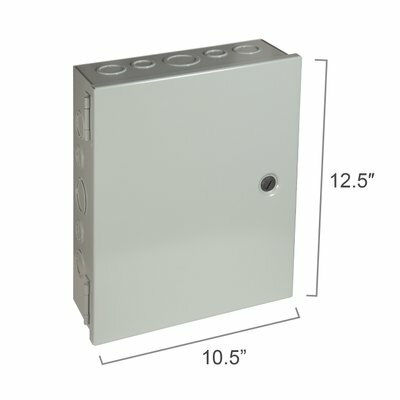 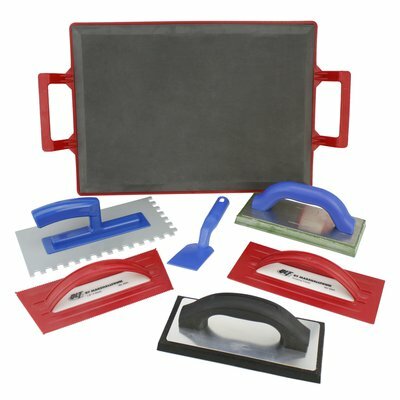 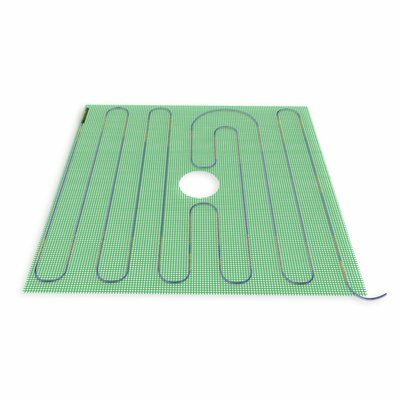 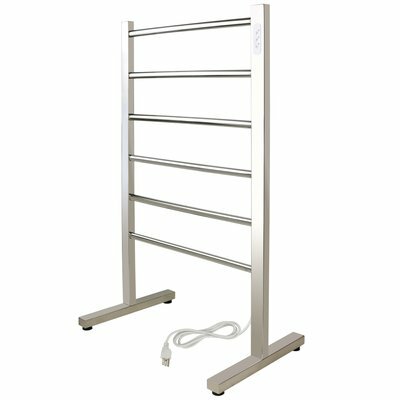 A hardwired, electric 120V towel warmer with 8 heated bars, a brushed finish, and non-heating storage shelf. 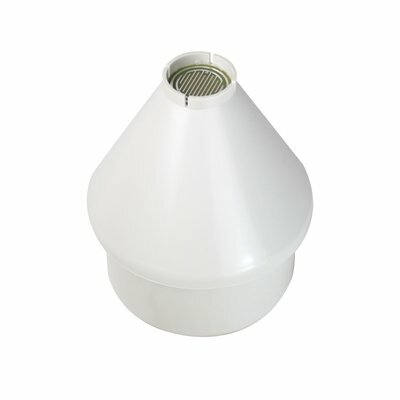 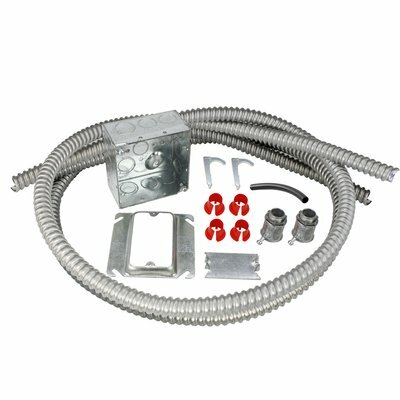 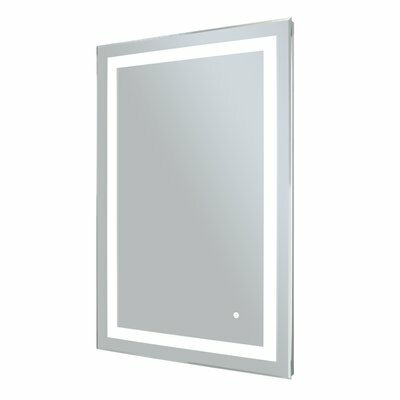 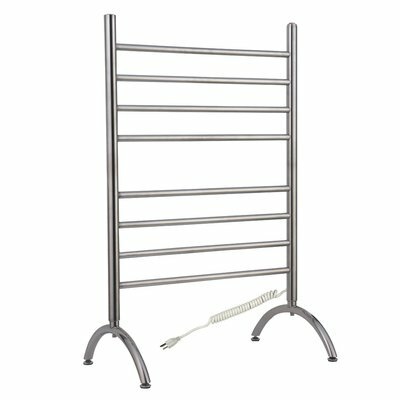 A hardwired, electric 120V towel warmer with 11 heated bars and polished stainless steel construction. 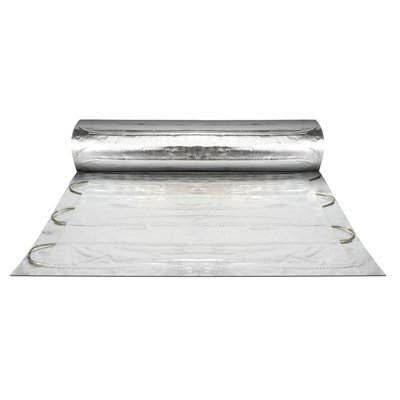 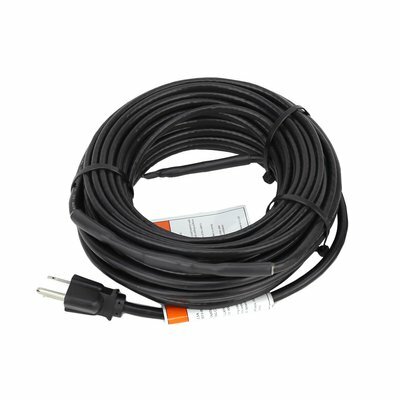 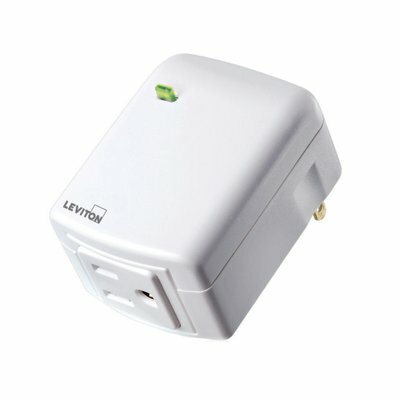 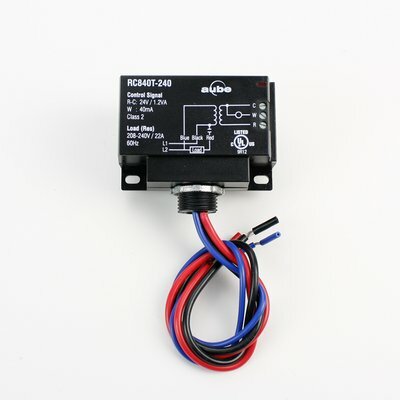 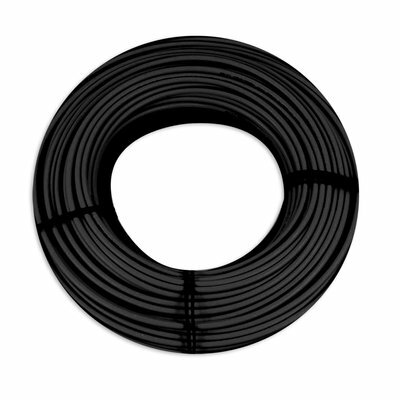 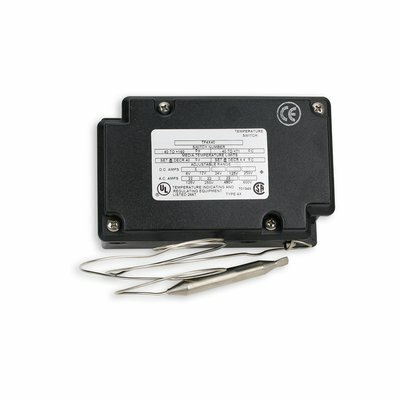 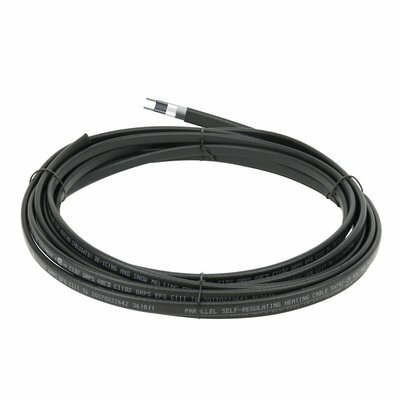 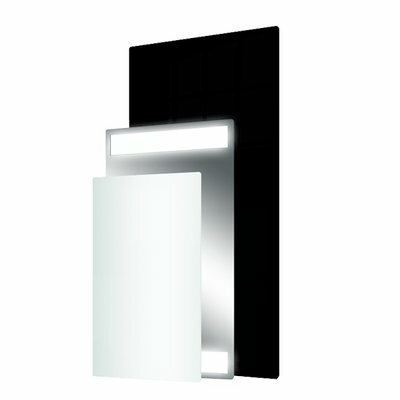 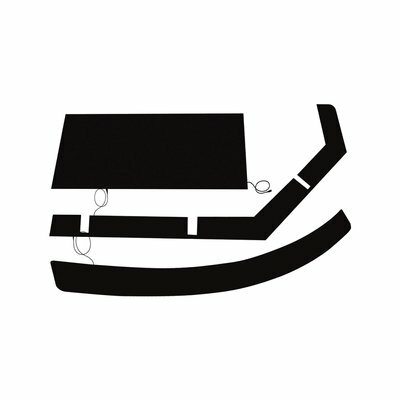 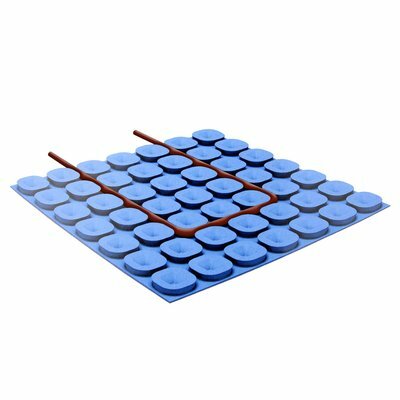 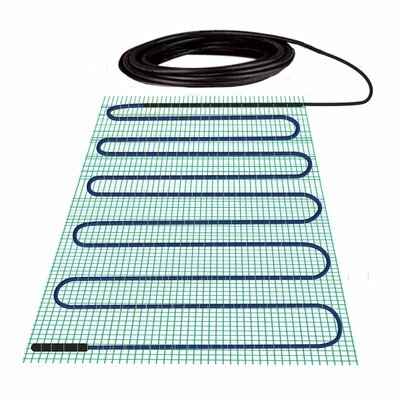 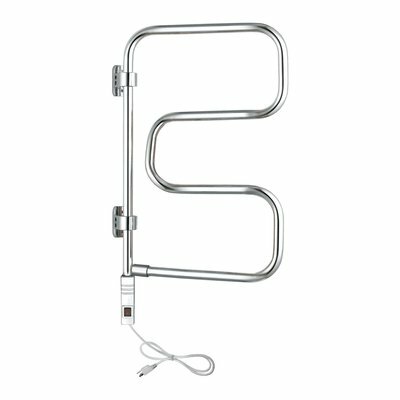 A hardwired, electric 120V towel warmer with 6 or 7 heated, square bars and a polished, gold, or black finish. 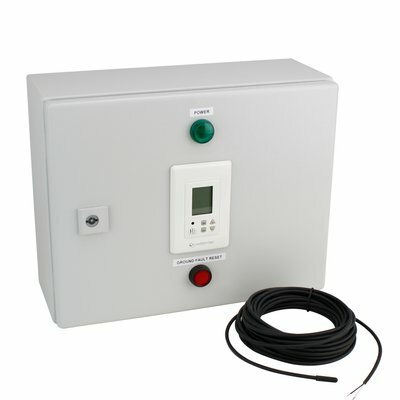 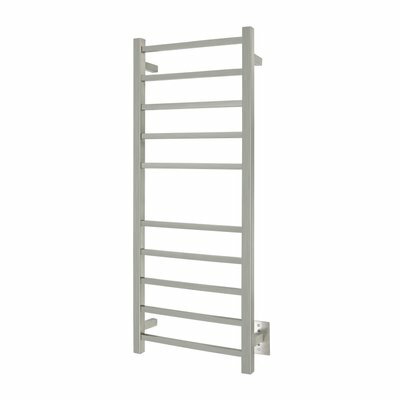 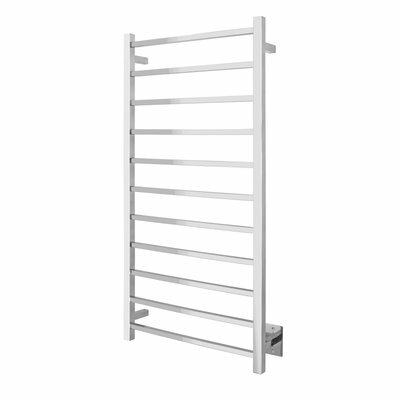 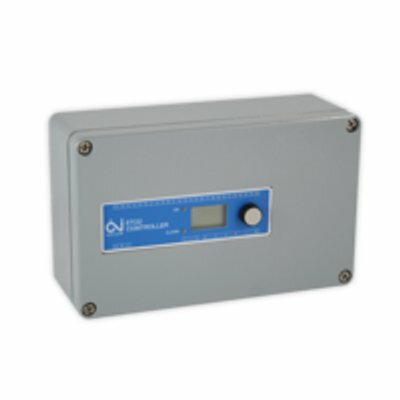 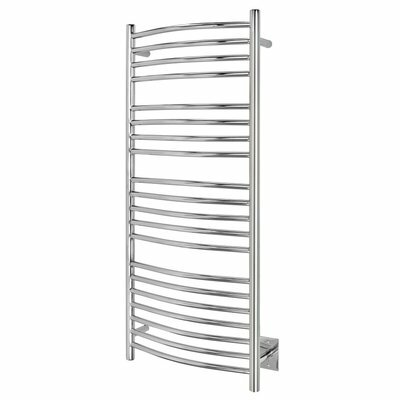 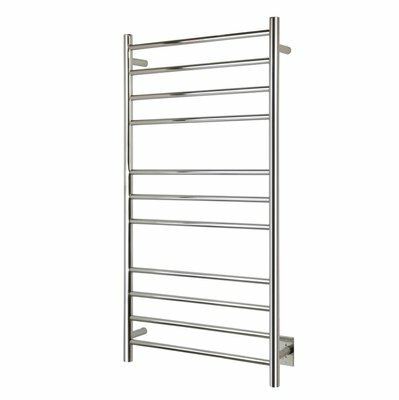 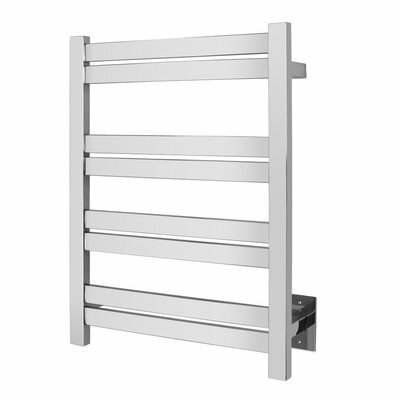 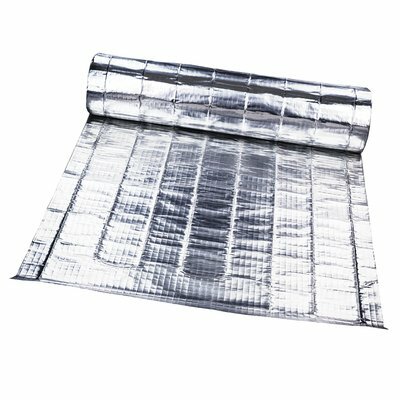 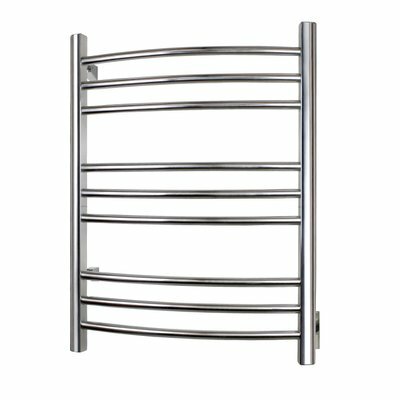 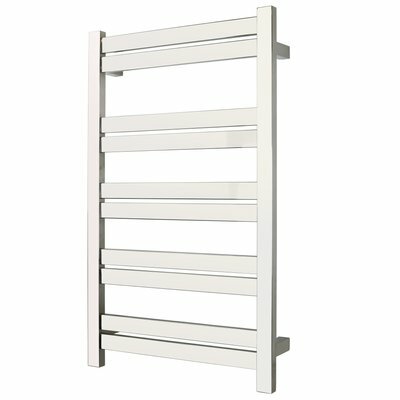 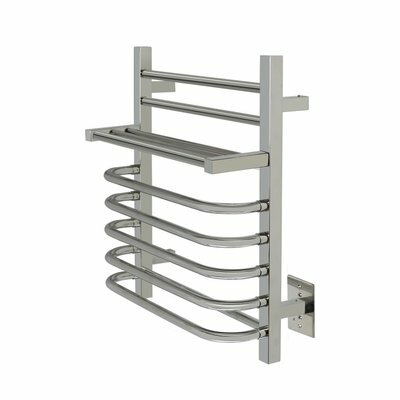 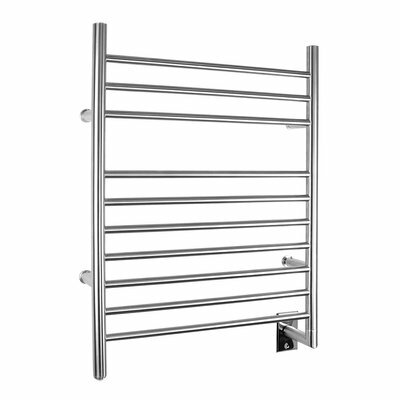 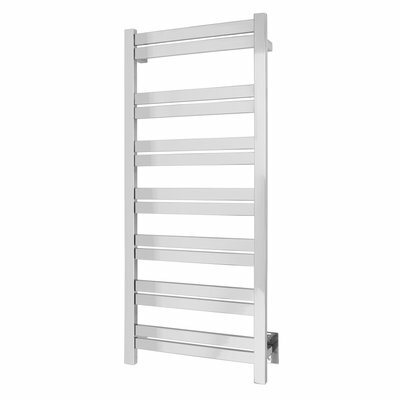 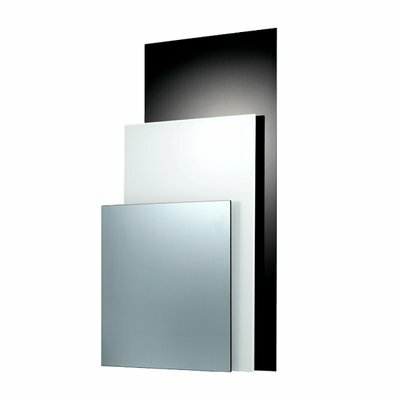 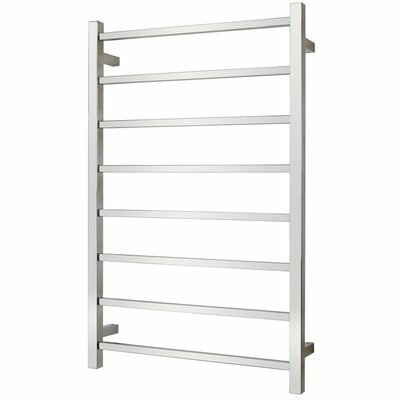 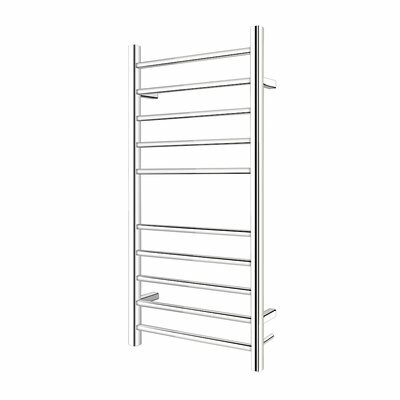 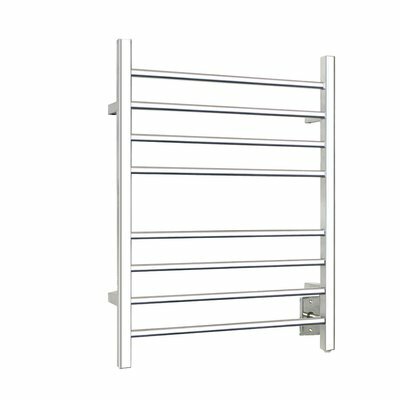 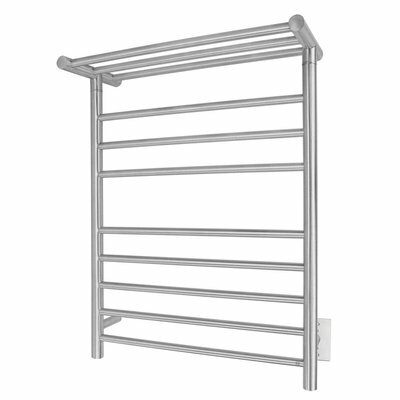 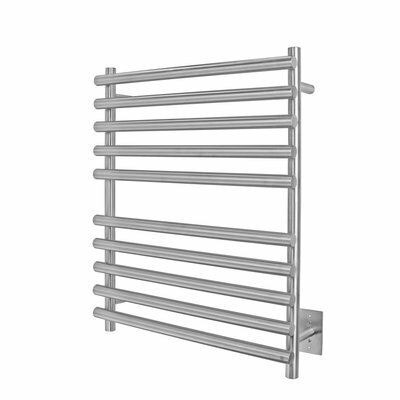 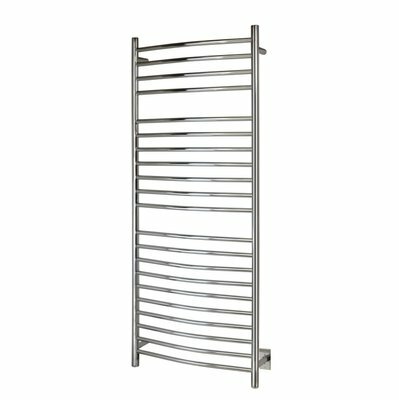 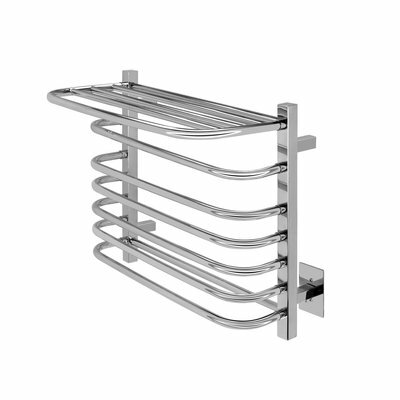 A large hardwired, electric 120V towel warmer with 21 heated bars and a polished stainless steel construction.